MISCONCEPTION #1: You should wait as long as possible before cleaning your rugs. No. Dirt is abrasive like sandpaper. And every time you step and grind dirt into the wool (or silk) fibers of your rugs, you are causing damage. I have had clients who wait 4 years or longer to clean their rugs, and then wonder why their areas of foot traffic are much more worn than other areas. It’s not the shoes that are causing the damage – it’s the dirt the shoes are pushing into the fibers that is causing the damage. Overseas, cleaning rugs is a springtime event. In areas with rivers, some families go and clean their rugs and lay them out to dry in the sun. For some reason, a myth has emerged in the US that “cleaning rugs is bad for them,” and this simply is not true. Removing the abrasive dirt from rugs is one of the best ways to ensure your rug has a long life. Cleaning is not bad for your rugs. Bad Cleaners are what’s bad for your rugs. MISCONCEPTION #2: The only reason to clean your rugs is to remove the dirt. No. As you probably know, outdoor air contains pollens, fungus, bacteria, air pollution, cigarette smoke, car exhaust – and hundreds of other chemicals. When you come into your home, you carry those contaminants in your hair and on your skin, clothing, and shoes. Not surprisingly, all of those chemicals and toxins wind up in your carpeting, upholstery, and your rugs. If you have allergies, asthma, emphysema, or other breathing problems – one major source of your problems could be the pollens, mold spores, smoke, household aerosol cleansers, and chemicals in your carpeting, upholstery, and rugs. Frequent and consistent cleaning of your flooring and furniture does improve your indoor air quality (and helps the carpeting, fabrics, and rugs look good and last much longer). MISCONCEPTION #3: Rugs should be dry cleaned. In a proper wet wash cleaning, the shampoo (and the dirt and pollutants it has “trapped”) is rinsed thoroughly from the rug’s fibers, so that you have a truly clean rug when the work is done. You have a rug that you can safely sit on, or have your kids roll around on, and not worry about any chemical irritants or dirt that may “stick” on you when you do. MISCONCEPTION #4: Cleaning rugs in your home does not harm them. Not true. In fact, in extreme cases this will ruin your rugs. 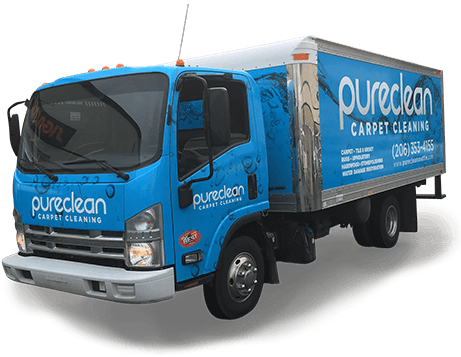 Methods of cleaning rugs in the home by wall-to-wall carpet cleaning companies are considered “surface cleaning” of the rugs. They can’t get the rugs too wet because the foundation will not dry within 48 hours, and it will begin to mildew, and the dyes may bleed. They also can’t get the rugs too wet because they are concerned about the floors underneath the rugs (this is also why they can’t clean rug fringes at all). This means that they canNOT rinse out a lot of the cleaning chemicals that are being put into your rugs. These in-home methods leave residue behind that not only attracts more soil (because it’s sticky), but also if the pH levels are not correct for wool they can cause irreversible color changes and chemical fading. No. Not unless you want to pay for a rug that isn’t “clean” when you get it back. This is a labor-based industry, and if a company is advertising a very low price, then you have to ask yourself what corners are you willing to have cut. If they are a company that spends a few minutes to make it look better, but just beneath the surface are pounds of un-removed dirt … is that what you want to pay for? We have a rug market now that is a “buyer’s” market, with an enormous amount of low-cost rugs being sold everywhere, from countries that have incredibly low labor weaver costs. If you bought a 5×7 rug from IKEA for a few hundred dollars, and turn it over to see all of the thousands of knots that someone tied to create that piece at that price, you will realize what volume based deal they negotiated to make you a happy customer. That same rug 5 or 10 years ago would have been many times that price in this market. But from a sanitary standpoint, rugs that are walked on all year long by dirty feet need to be cleaned. If you can easily replace the rug for cheap, then you should replace it every 2 years. If you plan on keeping the rug, then you need to ask if it is important to you to get all the contaminants out of the piece and have it properly cleaned. If your answer is yes, then you cannot use a low price cleaner. With your rugs that have high appraised or sentimental value, you of course need to find the best rug cleaner that you can to handle the cleaning … and these aren’t the companies that are advertising lowest price in town. In this business you absolutely get what you pay for, and you want experienced and well-trained rug cleaners handling your rugs. MISCONCEPTION #6: The company you give your rug to is always the one that will actually be doing the work. Not true. Most companies that advertise rug cleaning do not do the work themselves … and so you need to find out who is being honest with you. One way to cut to the chase is to visit their location and see where they clean the rugs. 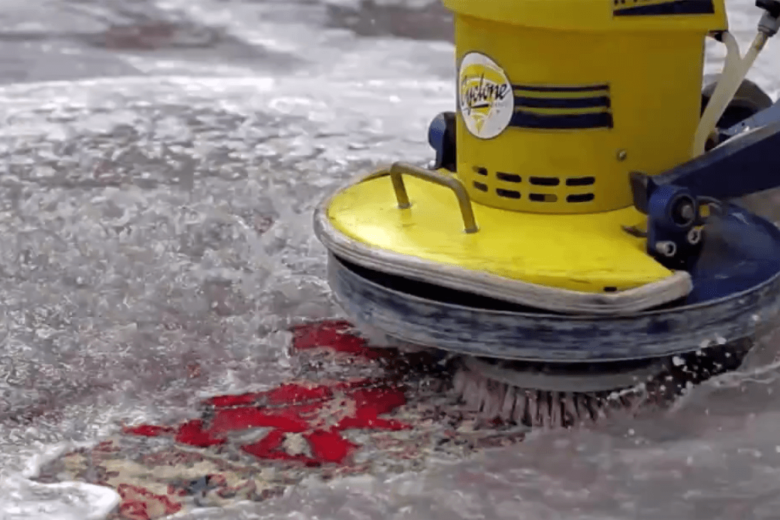 If they do not do the work themselves, then you need to find out where your rugs will be going to and if this subcontractor is going to clean your rugs properly.